5 days of tranquility and bliss..
We are excited to be able to offer you the experience of a life time! Staying at Sri Lanka’s first truly contemporary sustainable luxury design hotel. Not far from Galle Fort, on the shores of Koggala Lake (Sri Lanka’s largest natural lake) and within easy reach of the best beaches in the south! Ecotourism has never been so inspiring! Living walls, green roofs, edible gardens and entirely local materials unify accommodations and landscape. Sequential spaces emanate from a central water tower that captures spectacular 360° views. Creative experiences stimulate body, mind and soul, proudly showcasing Sri Lanka’s finest ingredients, materials, services and facilities. This is for you if you feel slightley overwhelmed by life, stressed, over worked and over stimulated……..Welcome to a relaxing yet active retreat filled with qualitative content and transformative experiences. 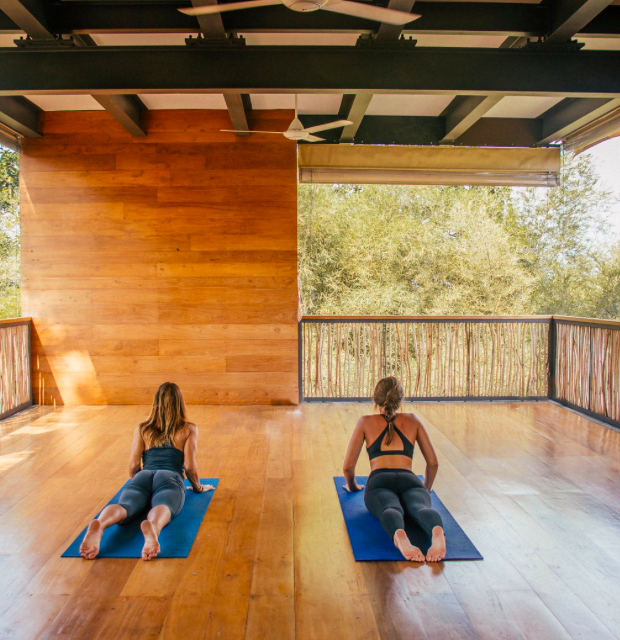 Enjoy their unique program of yoga, surf, conscious hikes, meditations, and restorative bodywork. This is a place to gift yourself some time to pause, reflect and clarify. A moment in your life for you and you alone. We will hold space for you while you demystify the intensity of life in the fast lane! .. We offer a slow lane! Join Us! You will land into Colombo, and if you have never been to Sri Lanka its worth having a look. We would recommend staying at Galle Face Hotel. There is a lot of the Colonial influence, particularly the Dutch, as well as Portuguese and English influences to be seen. There are more Temples in Colombo than you can see in a day, but perhaps go to Gangarama Lake Temple, and explore the local Pettah market. The Jami Ul Alfar Mosque is very impressive! Try to take in the precinct of the Dutch Hospital, the oldest building in the city, now converted into shops and eateries. The Ministry Of Crab is a must but you will need to book! If you want, you can head straight down the coast to Galle Fort, (Travelling by train will take +- three hours and you can book first class tickets for $15, car drive will take about two hours) Make a booking at Galle Fort Hotel or the Fort Printers both highly recommended, with so many sensational experiences to take in! Its really a beautiful town, with many historical sites and beautiful boutiques and restaurants. From Galle Fort, Tri is a twenty minute drive away. Our retreat begins at 5:00pm on the 18th of July, in the Yoga Shala. The first evening will be simply a meet and greet and intention setting circle. Try to aim to arrive at” Tri Lanka” from midday so you can settle in and prepare yourself for a mindful 5 days. Breakfasts start with fresh exotic fruit,, and a Tri twist of cooling curd ice cream if you fancy it. 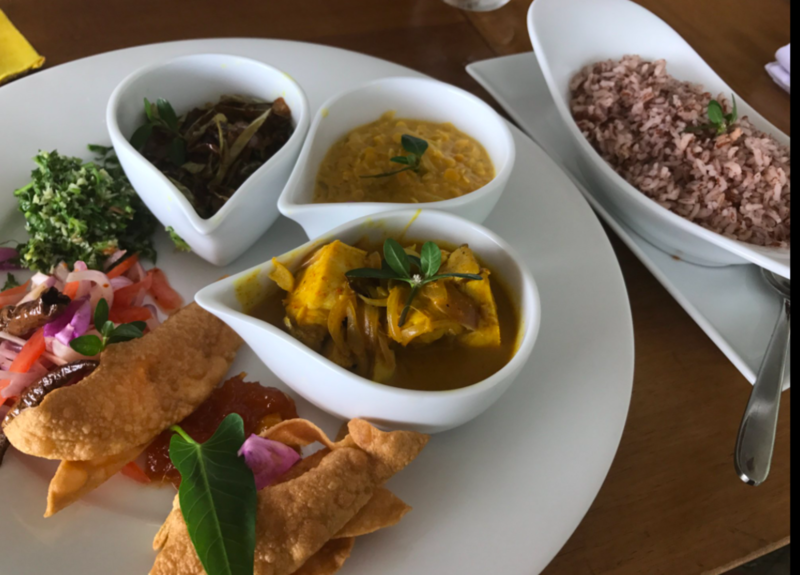 Sri Lankan and Western options include authentic hoppers with kata sambal or eggs benedict with smoked mahi mahi or local kurakkan (red millet) porridge. Breakfast dishes include both. All exploit the abundance of fresh local produce. The ancient practice of Ayurveda is supported through nutritious smoothies, filled with local fruits and vegetables, some designed to give you a natural power boost and others offer a protein hit for guests off on surfing or cycling adventures. A magnificent spread of rice and curry makes a memorable banquet of local spices and flavours. Temple visit, Galle Fort, tea plantation boat ride to Cinnamon Island surf trip ( these offerings are not included ). Lunch is available daily but not included, in case we choose to explore! Spa treatments , doing nothing, poolside hangs, riding bikes, reading books. Yin / meditation at 5:30pm till 6:45pm daily. The relaxed living room menu offers a fusion of Sri Lankan and international cuisines throughout the day, from a trio of mini hoppers and short eats to platters of fresh local sushi. The restaurant boasts an ever-changing multi-course menu of seasonal produce and local dishes. Starting with fresh baked bread and a daily selection of butter. Guests are invited on a gastronomic journey of local flavours, from a Maldive fish hopper amuse-bouche to Tri cinnamon quail or lagoon crab curry, finishing with smoked wattalapam, panna cotta or soursop doughnut for dessert. free time.. digest and rest .. There are some beautiful trails to discover from Tri. Just head out from our gate and follow your nose for some free-wheeling exploration of the countryside. We can also provide guides for some longer rides to the southern coast. Sarath and his family have been growing cinnamon, as well as other fruits, vegetable and spices, on their island small holding for 3 generations now. We cross the lake to his home in our dhoni boat and sit and drink cinnamon tea while he and his wife demonstrate how this highly sought-after spice is produced. Learn to cook the Sri Lankan way. Spend a couple of hours with one of our local chefs discovering the secret world of Sri Lankan curries. Get involved, learn about the spices, local ingredients (some of which grow in our gardens), and cook with clay pots. You will be cooking your own lunch so make sure you follow chef’s advice! The estate at Handanugoda is a lowland plantation about 20mins from Tri and perhaps the closest plantation to the ocean. 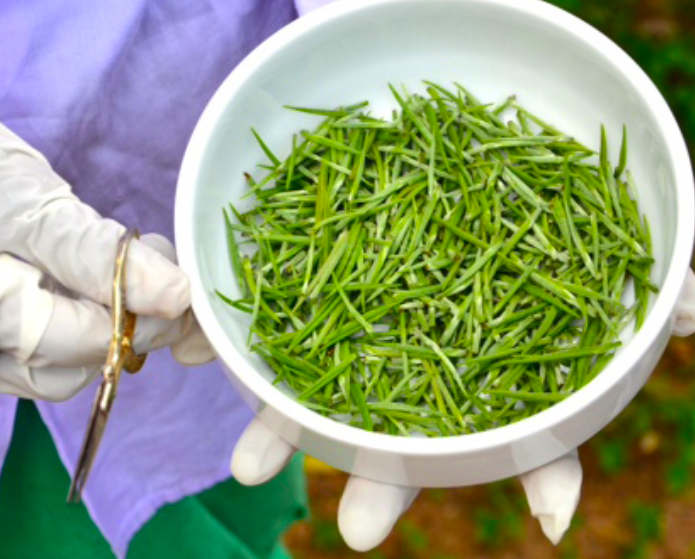 Apart from producing a fine range of black and green teas they are famed for introducing white, or silver teas according to the ancient methods employed by the imperial courts in China. It is a fully operating estate with its own factory. A fascinating glimpse of tea production. From Mirissa to the east to Unawatuna to the west, there are a large number of beaches that are accessible from Tri, all with different attributes. Let us know what it is you are looking for and we can recommend the best one for you. The unique fort at Galle is a fascinating oddity in Sri Lanka. Dating to the time of the Dutch occupation. This UNESCO Heritage protected site has a very cosmopolitan atmosphere with its mix of architecture and narrow lanes and vast granite ramparts. Great to explore on one’s own or a guide can be arranged to show you around and recount the history. There are a wide range of boutique clothing stores, jewellery shops and all manner of cafés tucked away. We are happy to provide you with a list of our favourites! There are plenty more places to visit and things to see around the south coast including; the iconic stilt fishermen, often found up a pole in the surf between Thalpe and Weligama; the Rumasala peninsula of Ramayana legend with its temple and peace pagoda; the Yata Gala temple with its fine statuary and painted cave temple; the Kathaluwa Temple with its 200yr old murals. BOOK NOW AND PAY IN FULL BY MARCH 31 AND CLAIM 10% DISCOUNT! These beautiful guest rooms are in the cinnamon-wood-covered hilltop water tower at the centre of the property. These spaces are smaller than the suites/villas but come with kingsize beds and have east and west views. Ensuite bathrooms have slate floors, hand-cut terrazzo walls, rainfall showers and organic Kemara toiletries. All rooms have complimentary WiFi, bottled water and air-conditioning. Private villas, on the edge of Lake Koggala. There's a king-size bed and a spacious living area with a daybed which can be used as a single (Sleeps 2 people with the possibility of a third in each room); the open-plan bathroom has a large walk-in shower. All rooms and villas have complimentary WiFi, bottled water, air-conditioning and organic Kemara products. Experience uninterrupted lake views and a private open-air plunge pool. These breezy stand-alone with a kingsize bed, and a daybed which doubles as a single bed. (Sleeps 2 people with the possibility of a third in each room ) There is a terrace with Sweeping views lake and a private plunge pool The ensuite bathroom has a walk-in rain shower. All rooms and villas have complimentary WiFi, bottled water, air-conditioning and organic Kemara products. The Family Villa, has two separate Lake Suites which share a plunge pool – this is an ideal arrangement for four people. Each of the two open-plan suite has a kingsize bed and a spacious living area with a day bed which can sleep one extra person. Both bathrooms have a large walk-in shower. All rooms and villas have complimentary WiFi, bottled water, air-conditioning and organic Kemara products. Sleeps 4 people with the possibility of a third in each room. Please specify when making your booking if there are four of you that it is the Family suite you want.